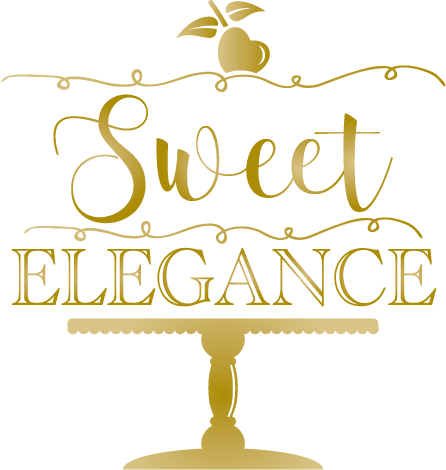 Here at Sweet Elegance, located in beautiful Asheville, NC, we consider it a privilege to work hand in hand with you to make your special day as truly memorable and wonderful as possible. We accomplish this by joining your vision and our creative gifts to design and execute astonishing cake creations. Any event from an elegant wedding to a festive birthday celebration can be elevated to a higher level when one of our creations arrives to the party! Sweet Elegance is pleased to design and execute one of a kind, personalized cakes inspired by your tastes and design requests. We put an emphasis on elegance and attention to detail to ensure our creations provide absolute satisfaction and instill lasting memories. Sweet Elegance loves to take on a challenge! From birthdays to anniversaries, your event will be sure to surprise and impress with the addition of one of our custom created themed cakes. Check out these specially requested creations. Don’t forget to send your guests home with a lovely memento of your unforgettable event. A personalized sugar cookie or a pair of decadent bonbons will serve as a sweet treat as well as a fond memory to last a lifetime.